Sometimes it seems that Jesus has left us alone in our struggles. Where is He? We look at the story in the gospel of Matthew when Jesus makes the disciples get into the boat and head across the lake while He goes up a mountain to pray. He had just multiplied food to feed thousands, and Jesus was very popular at the moment. Jesus knew the disciples could be tempted to pride, so He wants them removed from the situation and sends them off in the boat. However, the disciples encounter a huge storm that keeps them battling the waves for hours without making much progress. 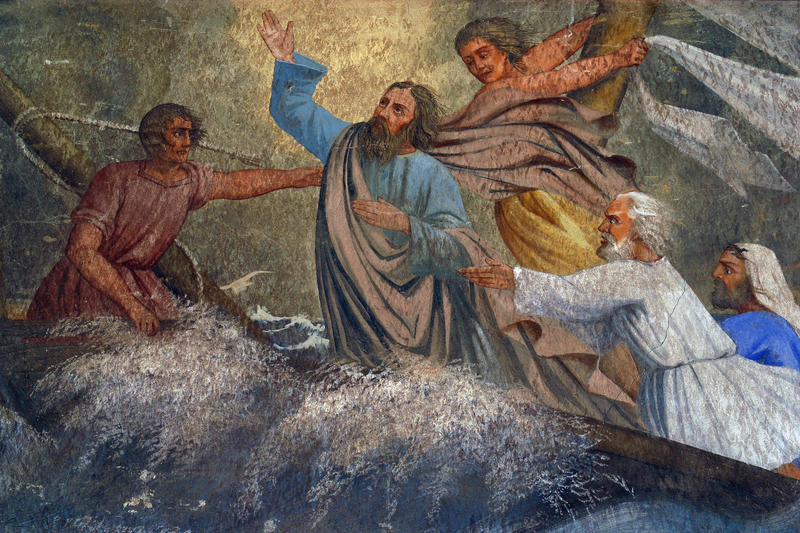 Instead of rescuing them right away, Jesus lets them struggle against the storm until the 4th watch of the night (3 – 6 a.m.) That is a long time to be out at sea in a raging storm. Listen in as we delve into the lessons we can learn for ourselves in this passage. Jesus never leaves us alone even though it feels like that at times. When we start looking at the waves and lose sight of Jesus, that’s when we begin to sink. The enemy can attack us but he is only a creature and is subject to the limits God sets. Jesus can calm any storm we are going through. We put our trust in Him.